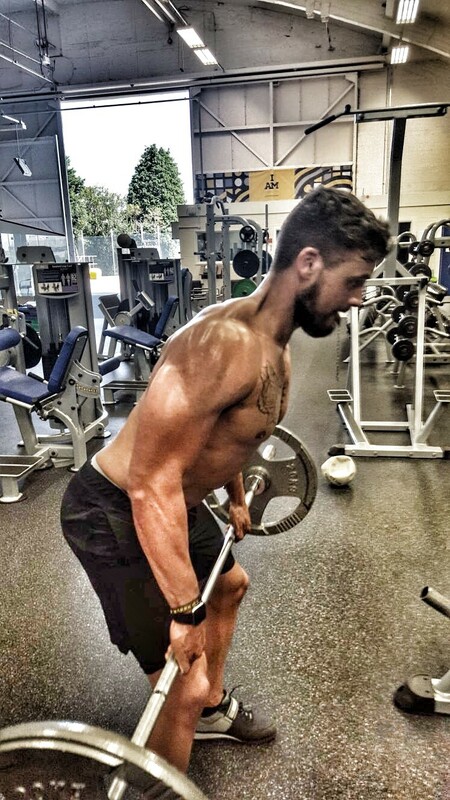 Josh Llewellyn-Jones, who was diagnosed with cystic fibrosis (CF) at birth, will be attempting to break a weightlifting world record to promote the benefits of exercise for people living with cystic fibrosis. This weekend (29th September), Josh will be attempting to lift 1 million kilos in 24 hours – the most anyone has ever lifted in a day – the current record is 475,000 kilos. When he was born in Cardiff in 1987, doctors told Josh’s parents that he had the life-limiting genetic condition that causes the lungs and digestive system to become clogged. Josh’s parents were informed that he was unlikely to survive the night and he was taken straight to the operating theatre. When he did survive, doctors said he was unlikely to see 30. Two days before his 30th birthday last year he completed the most gruelling physical challenge of his life – 24 hours of non-stop exercise to raise awareness and money for cystic fibrosis. He lifted 100 tonnes, cycled 100 miles, rowed 20 miles, ran 10 miles, cross-trained for 10 miles, swam 2 miles, and completed 3,000 sit-ups, 1,000 press ups and 1,000 squats. And he says it’s carried him, fitter than ever, into his thirties, via football, rugby, cross-country running and even scaling Mount Kilimanjaro at 17 to box at the top. Now, Josh wears his scars with pride on a torso to rival David Beckham’s in his underwear-modelling prime. He hopes that completing these challenges will help him add to the £700,000 he and his family have raised for cystic fibrosis charities, and also raise awareness of his own charity, CF Warriors, which was created to inspire children around the world with CF to turn to exercise. After following Josh on social media, seven-year-old Nancy Thomas, who was diagnosed with CF when she was three weeks old, now spends at least one hour a day exercising as well as doing gymnastics for three hours three times a week. Nancy’s family became aware of Josh because of their CF fundraising efforts as Nancy’s father, Lyn Thomas, used to run half marathons with Nancy in the buggy to raise the profile of CF. Nancy’s mother, Lucy Thomas said: “I first heard about Josh after his father contacted me when he found out about Lyn’s fundraising efforts for CF. Since then, we’ve been following Josh on social media and he’s become a huge inspiration for Nancy. He really does empower children with CF as he is someone that knows exactly how they feel and children can look up to this. Josh’s attitude makes him such a positive role model, and this has been invaluable to us as a family. Alongside his training for the challenge, he is also developing an app which will tell users if they are near another person with CF to lower the chances of cross-infection. Josh said: “CF can be extremely isolating as you can never be within 25ft of another person who has CF. This can be extremely difficult, especially when you’re younger and aren’t fully aware of the condition. By creating this network of CF Warriors and developing the app, I hope to create a community whereby people living with CF don’t feel so alone.